I know I’ve already shared a little of the story behind this album and what it means to us. I listened to it this morning and wanted to share more. The night before the album release date was announced, I dreamed about a little girl. She was about 4-5 years old and had a full head of beautiful brown hair. I was sitting on a couch and she was next to me, with her head resting in my lap. We were surrounded by light. She was facing away from me. I couldn’t get see her face, like it was a secret and I wasn’t supposed to see her yet. Something or someone told me it was okay to peek. I was hesitant, a little worried that I was breaking some rule. But again, something told me to go ahead and look before it was too late. I gently tilted her face toward mine. I saw her, and I knew she was my daughter. I remember feeling so much peace in that moment. In an instant, my heart was filled with pure love. When I awoke, I knew she was mine. I knew she was my baby. I felt it so deeply in my heart. I also felt as though I had been let in on one of the biggest secrets ever. Like she came to me in my dreams to give me a beautiful gift. A glimpse of her as a child. Ben and I had been talking about names for a while, and Elliot was a favorite, before we even knew about this album. When I woke up that morning, I felt it in my heart. Our baby was meant to be named Elliot. 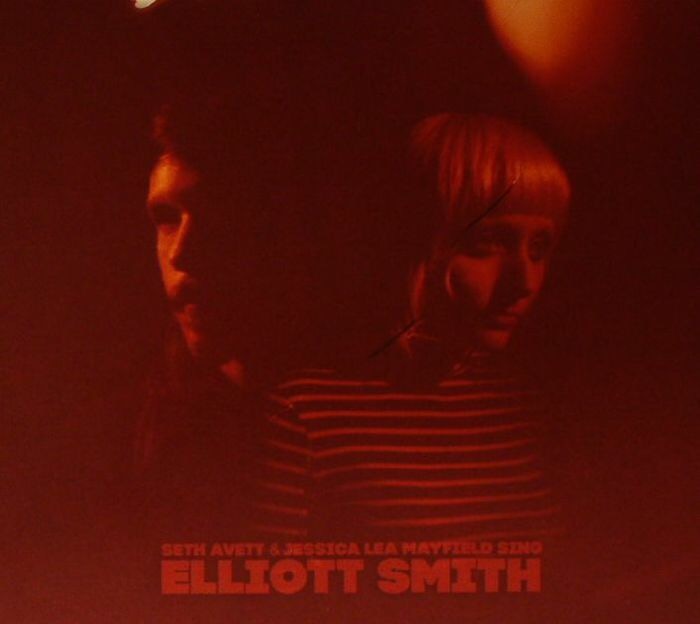 Later that day, Seth Avett and Jessica Lea Mayfield announced their upcoming release of their tribute to Elliott Smith. The release date was set for March 17, 2015 – Elliot’s original due date. I didn’t really know Elliott Smith’s music at the time so I wasn’t a fan, but after the dream I had, it felt like a sign. That day, Ben and I agreed that “Elliot” was our first choice, but we wanted to wait until she was born to make our final decision. We fell in love with the album on the first listen. It was so beautifully done. The three of us spent the next ten days lost in this album. The final ten days of Elliot’s life. An NPR review described Smith’s music as “calm against chaos, setting breezy melodies against intense, often brutally blunt lyrics. Smith hit on a compelling balance of heart and head: His accounts of despair hit you with the visceral energy of great rock, while at the same time communicating in a musical language defined by nuance, discipline, order. Smith’s music often assaulted the senses with giddy gorgeousness and uplift, even when lurking between the lines was a despondent cry for help.” Love, despair, and loss are recurring themes. Little did we know, that would soon be our reality. Interestingly enough, Elliott Smith, although he was an adult at the time of his passing, also died young. He was 34. I know this sounds strange, but it was as if the album foreshadowed Elliot’s loss. It was like the universe was trying to warn me. This belief is based on a series of other things that I saw and experienced in the last few months of my pregnancy. Deep down, it didn’t feel real, that we would bring our baby home. But I pushed those feelings aside. I remember thinking to myself of course she’ll come home with us. Why wouldn’t she? I vividly remember standing in the nursery the morning we found out Elliot had passed. We went home from the hospital for a few hours to call family and make some big decisions about our next steps. Standing in the nursery that morning with a still baby in my belly felt so unreal. I didn’t know what to think or do. I asked Ben if we could name her. I’ll never forget the way he looked at me. He had such sadness in his eyes and very softly said, “Of course, she is still our daughter.” Without any hesitation, we agreed on Elliot Kathryn. We knew she was meant to be Elliot. Another interesting, and tragic, part of naming Elliot is her middle name. We chose Kathryn as a way to honor the memory of Ben’s cousin, who died after a car accident in 2011. She was only 21 and left behind a daughter. Two and a half years later, I still find it difficult to listen to this album. It transports me right back to those final days with Elliot, which is exactly why I will always love it, too. Thank you so much for sharing this Elisa. I’ve heard that other mamas feeling this way too, and not being able to picture their baby at home with them. Maybe mother’s intuition? It’s a very strange feeling. Of course, at the time I just tried to ignore it. With Brynn, it was so different. I could could picture her coming home with us. It’s so hard to explain. I know you get it though. Big hugs to you. I’m always thinking of you and Lucia.